Located in a safe and prosperous suburb just 25 minutes by care from downtown Chicago. Shopping and restaurants are within walking distance in the main area of River Forest and all of Chicagos attractions are an easy reach by public transportation or car. 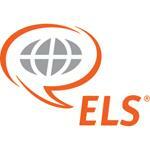 More than 550 U.S. universities, colleges and career schools (including Dominican University) recognize completion of the ELS Intensive English program as satisfaction of their English language admissions requirement, in place of the TOEFL or other exam. The ELS Language Centers University Placement Service can also help students secure placement in a U.S. university, college or career school before they leave home. The center also provides college placement assistance to currently enrolled students. Year-round private customized instruction can also be arranged upon request for additional fees. Internship Experiences at local businesses may also be arranged after arrival. Internship Experiences require at least 2 sessions of the Intensive English program and ELS level 109 completion. A special summer American Culture Program is available for 2, 3 or 4 weeks.